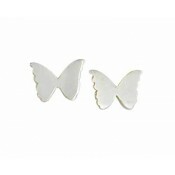 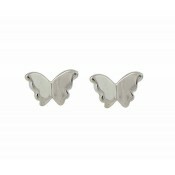 These are a beautiful pair of sterling silver butterfly earrings from the Opal's Butterfly collection. 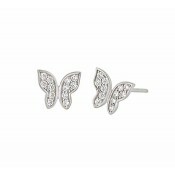 The studs are shaped to resemble the fluttering wings of a butterfly and delicately encrusted with shimmering clear stones. 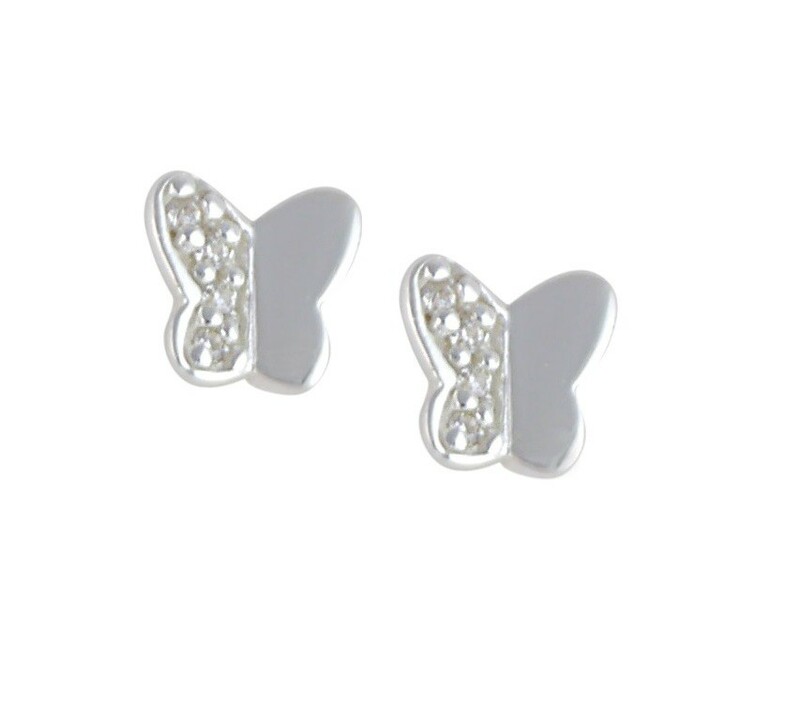 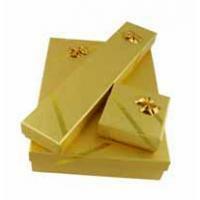 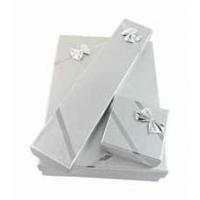 These are a elegant and simple pair of studs suitable for every occasion.